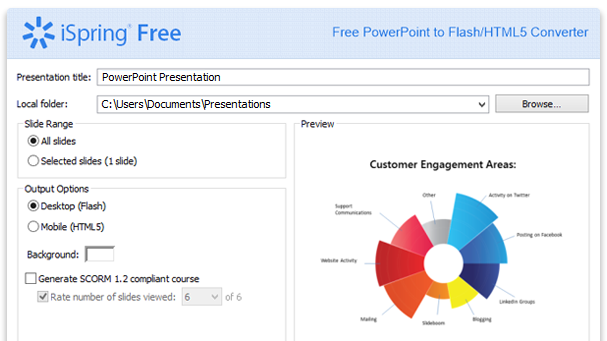 Best-in-class conversion of PowerPoint presentations to Flash, HTML5 and SCORM with superior quality. The most powerful PowerPoint to Flash/HTML5/SCORM converter with a fully-stocked authoring pack at the best price ever! 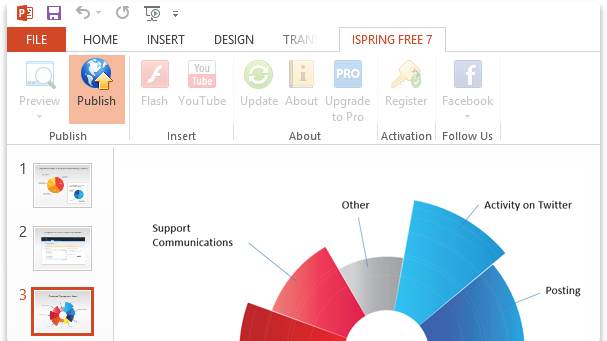 Utilize the full power of iSpring Suite to easily create professional online content in PowerPoint. I would like to recommend iSpring products as the product gives a very good presentation and it is so easy to use. The after sales service is exceptional. We have been using iSpring for several years now. It’s truly an amazing product and our developers constantly find new uses for it. We use it to share presentations online and on our intranet, render browser-friendly videos for various uses, including eLearning, intranet sharing, and online resources. 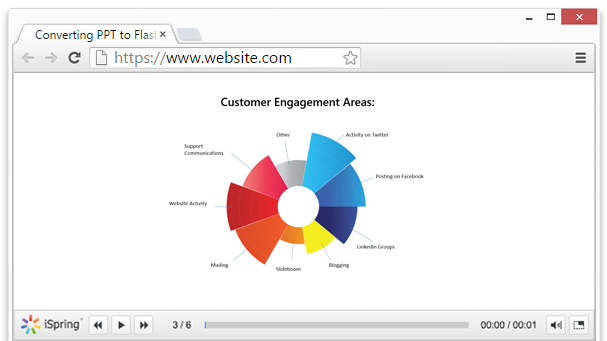 iSpring’s software worked seamlessly with our existing PowerPoint slide presentations and the uploading process (to the Web) allowed our slides to be viewed on both desktop and mobile platforms without any extra coding on our part.